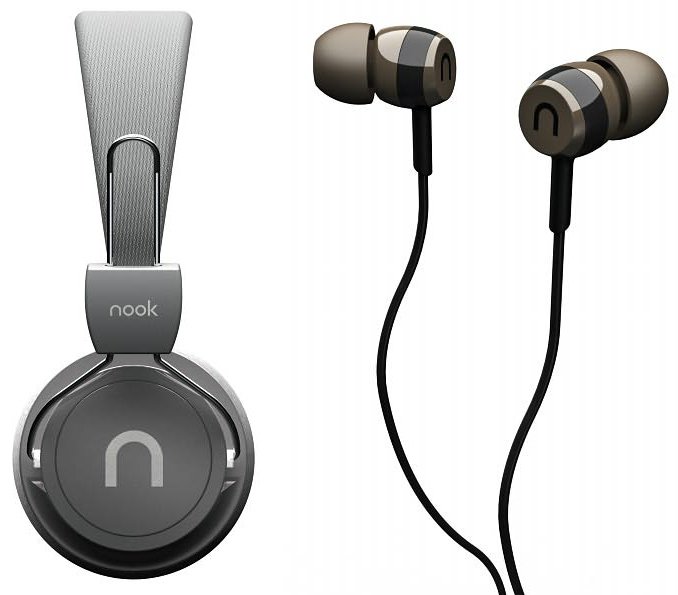 Barnes & Noble has secretly revealed some new Nook branded audio gear for the loyal Nook tablet user, just because. The lineup consists of one pair of on-ear Nook Audio OE250 headphones as well as one pair of in-ear Nook Audio IE250 headphones designed with an old too familiar generic style that doesn't seem to impress considering the vast amount of good quality headphone offerings available. But it's a nice try, Barnes & Noble. The important juicy details aren't yet available, but what's certain is that the in-ear headphones will retail for $19.95, and we're only guessing the on-ear headphones will run around $60.